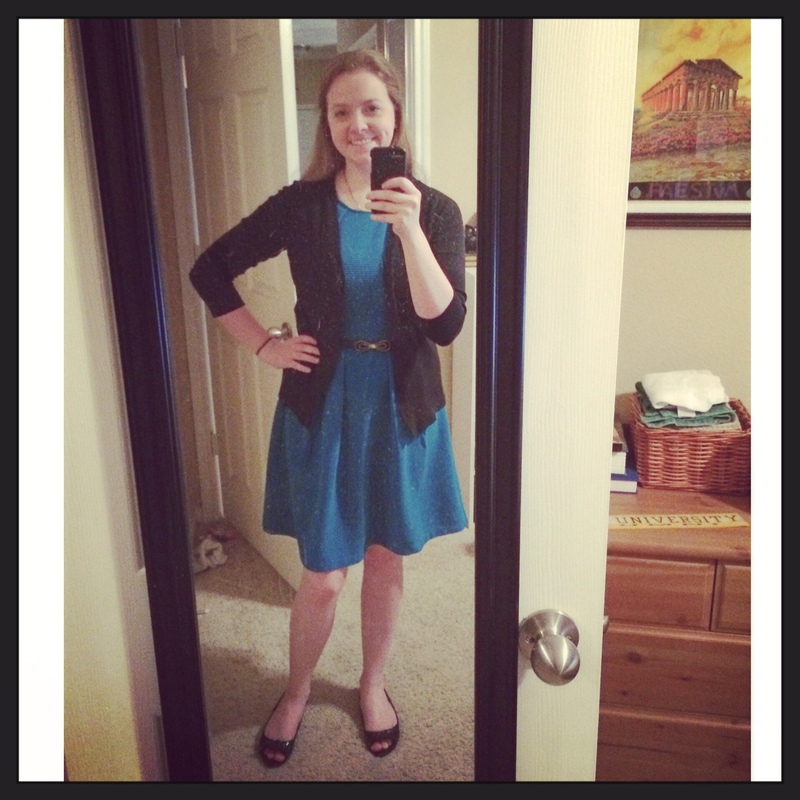 So, I fell off the Sharp Dressed Lady bandwagon a little in July, but here are a few of my favorite outfits! 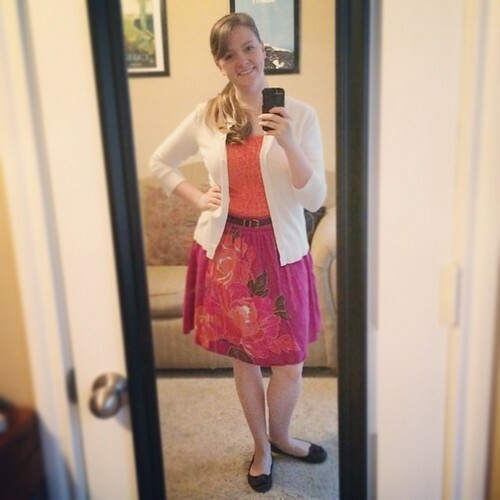 It’s a bright and floral outfit that I pulled from the archives! This is one from not-so-long-ago that seemed very appropriate for our hot Houston July weather. 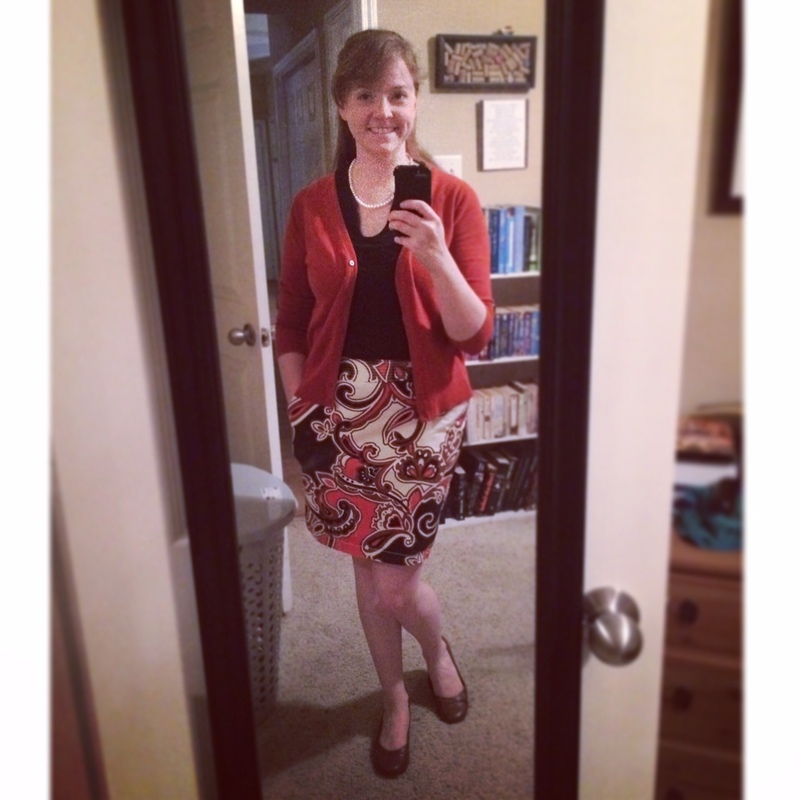 I had a Public Relations Society of American luncheon this day, so I needed to bust out a StitchFix dress to look my best! 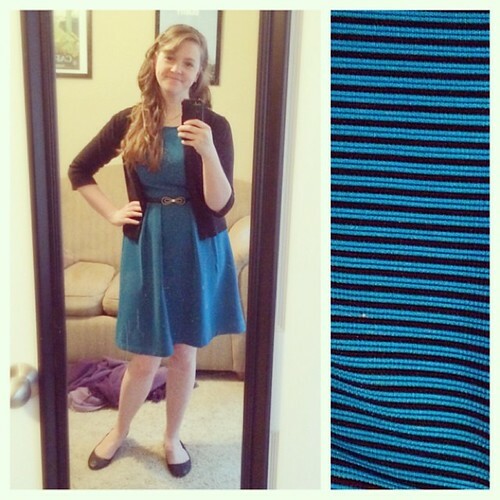 I love the fabric of this dress, but it’s hard to see from a distance, so you get a close-up! 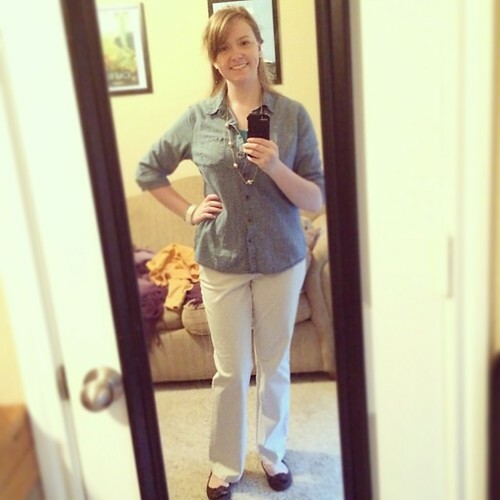 Chambray on a casual Fribsday! This is a trendy outfit for me: chambray shirt, big white watch, and long dangly necklace. 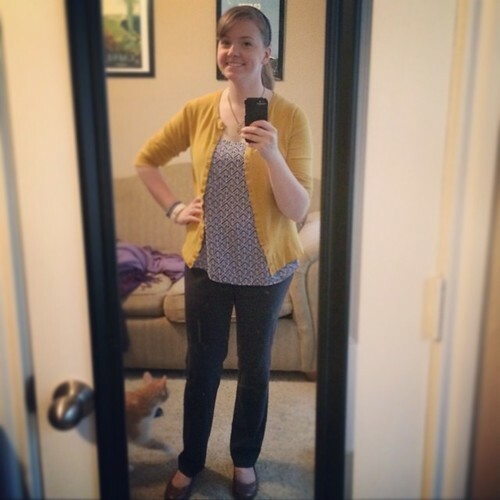 This outfit got me through a day of herding cats at work, mostly because of my StitchFix top! 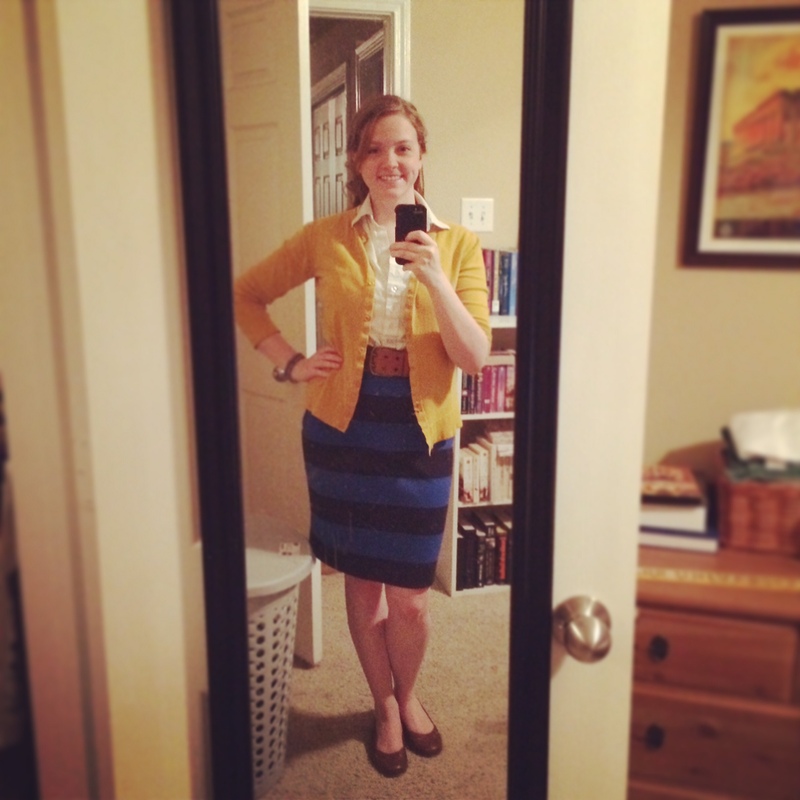 I’m not 100% confident this matches/coordinates, but people seemed to like it. 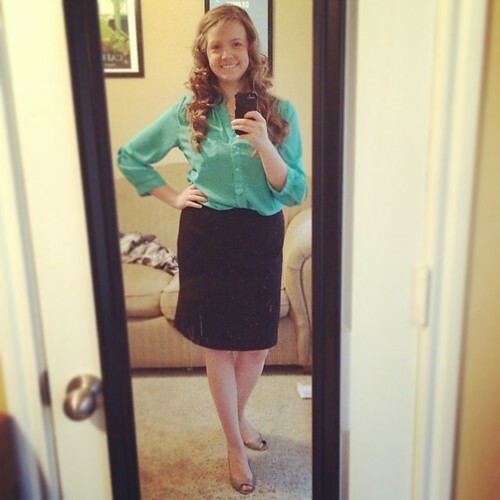 This is my outfit to network at a Houston Business Journal event this afternoon. 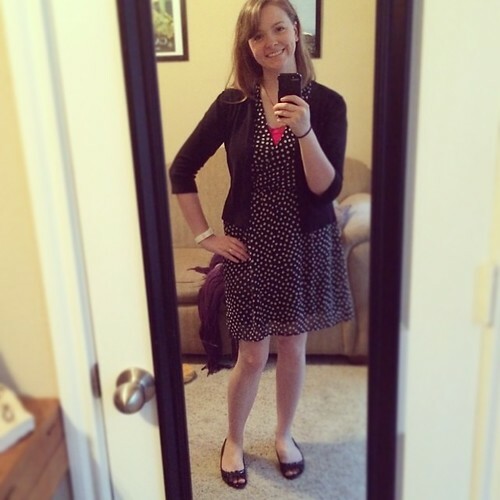 Mildly fancy with another StitchFix top and Ann Taylor open toe heels. When I’m not feel outfit-inspired, I look back in my archives. 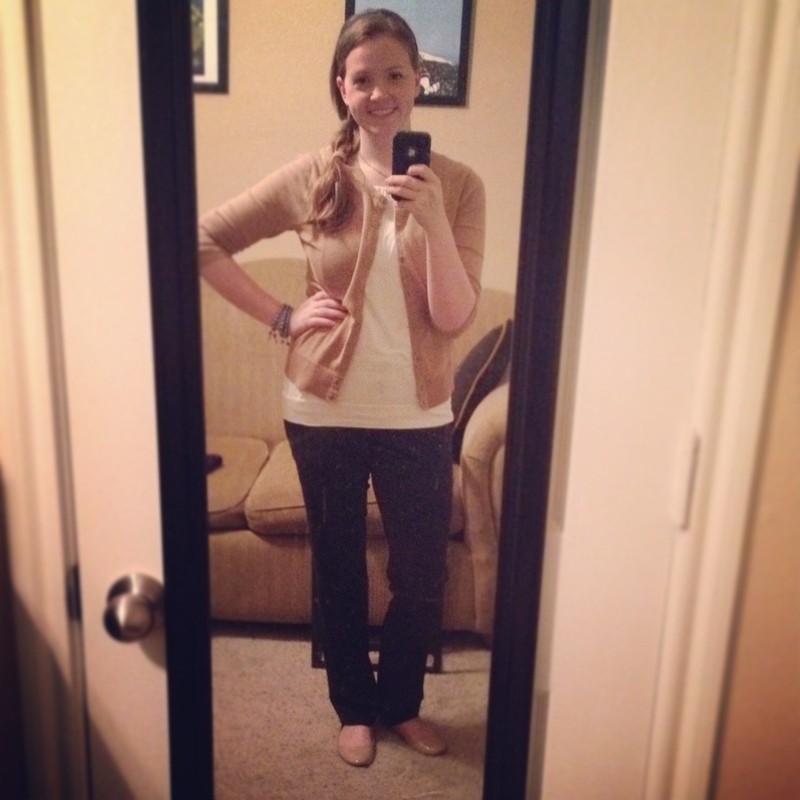 This outfit is based on one from December! My co-workers really liked it, and said it had a nautical feel for some reason. 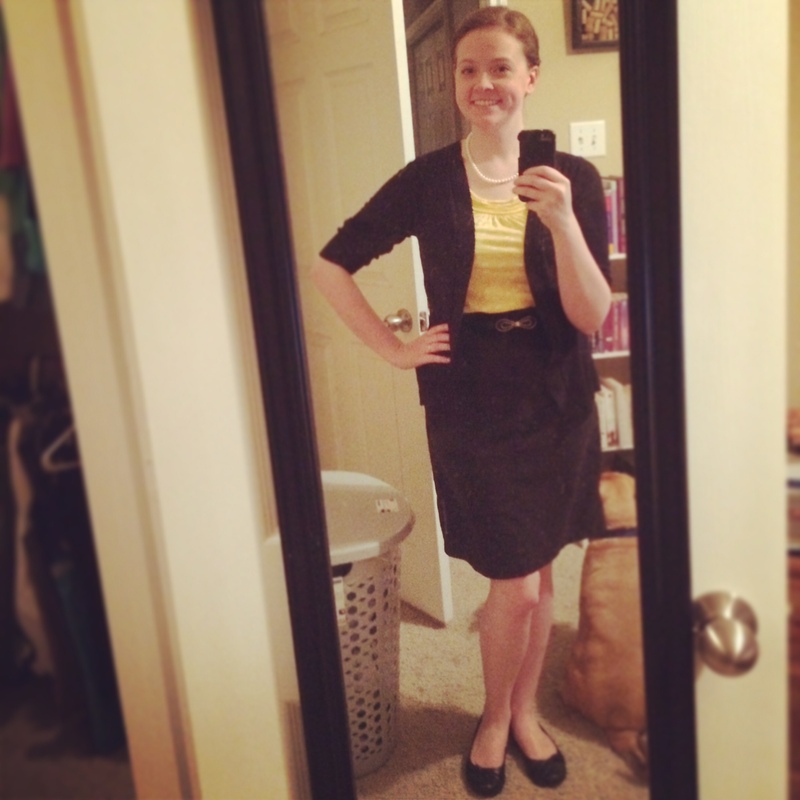 Sharp Dressed Lady – May continues! This skirt is always sort of enigma, but this embellished tank worked well with the tones in the flowers. 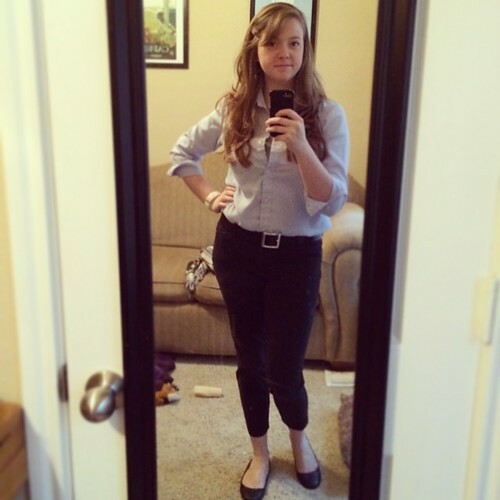 Weekend outfit – computer glasses, chambray shirt, and new white watch! 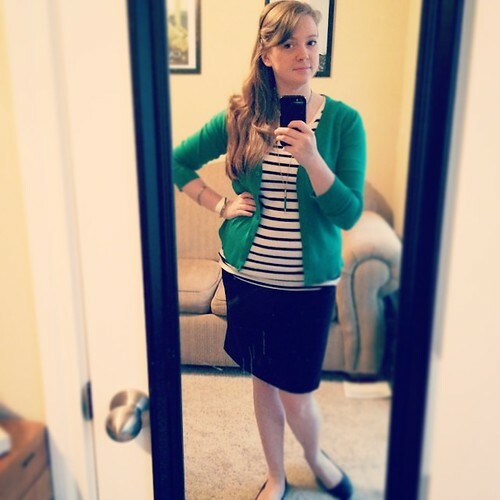 Casual Fribsday with my SJ green cardi and coordinating Kate Spade pencil necklace. Lucky (or not) for all of you, his reminder put the fire under my tookus to actually do an update. I don’t have any recipes to share right now, but hopefully I will get to it soon! 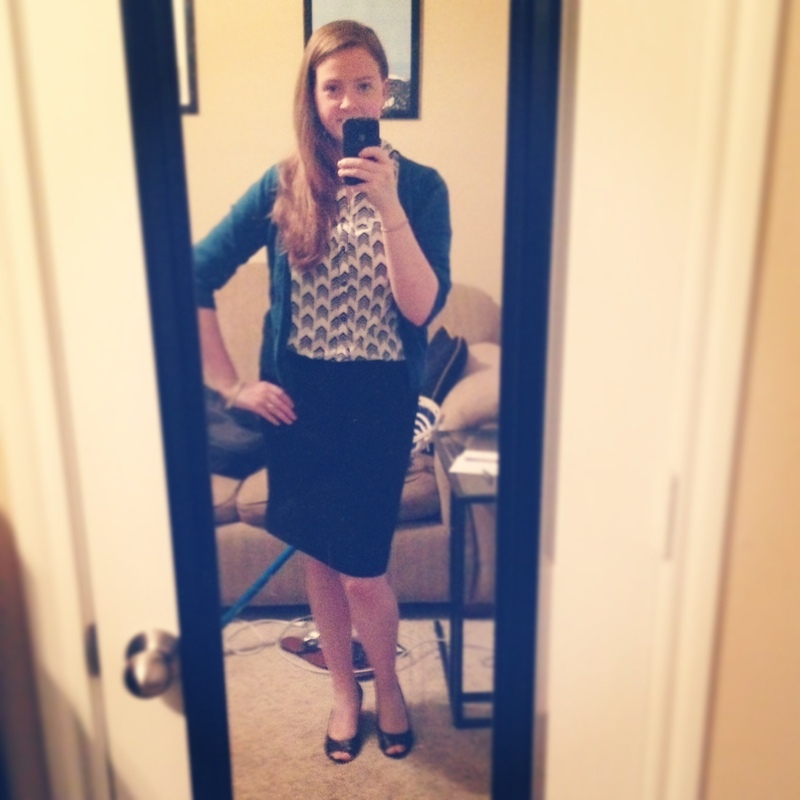 Until then, it’s the return of #sharpdressedlady – my attempt to keep myself accountable for dressing like a semi-fashionable adult for work. You’ll find some of my recent favorites below! 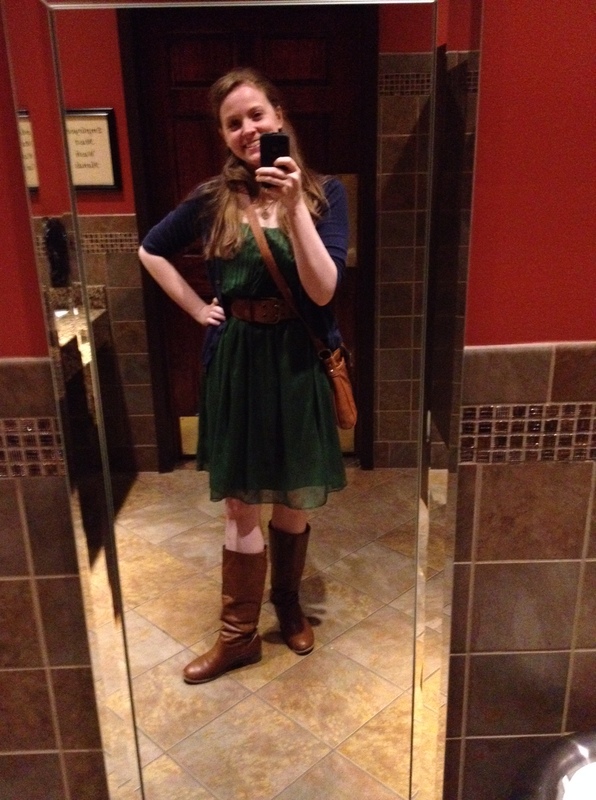 Anniversary date night outfit 🙂 Thanks to my coworkers for providing my adorable dress, which went great with my wedding cardigan. 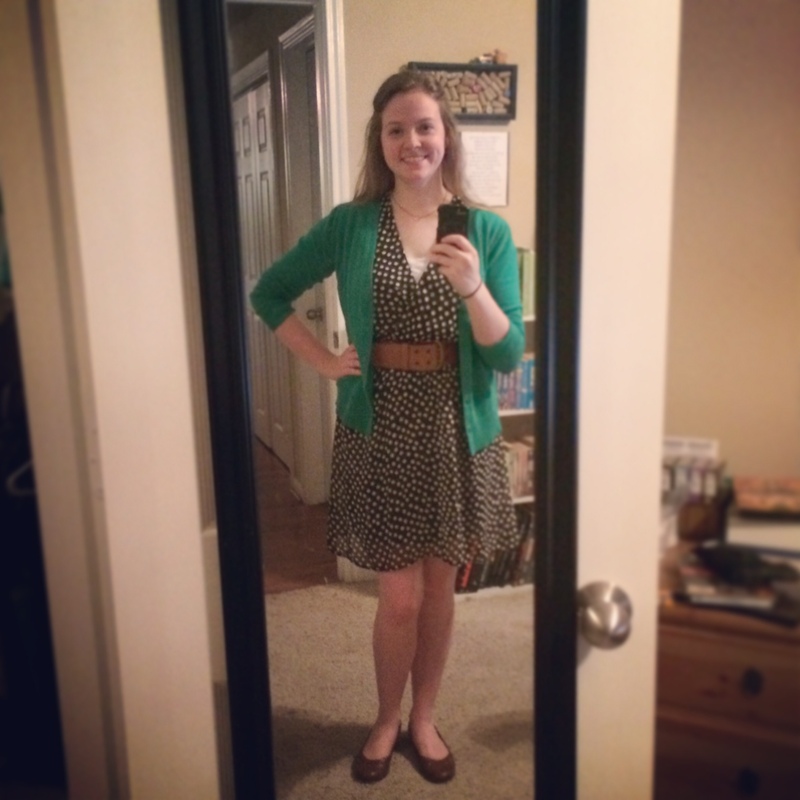 If you made it through the outfits, and found them acceptable, may I suggest StitchFix? It’s a monthly service that basically sends really cute clothes to your house, based on a crazy detailed style profile you create that even links to your fashion board on Pinterest (if you have one). For $20, you get a box with 5 pieces of clothing that your stylist thinks will fit your style. Anything you keep, the $20 is applied to, and everything else gets returned in a pre-paid envelope – if you choose to keep nothing, they keep the $20 (but you didn’t have to go to the mall). When you check out online, you let the stylist know what you liked and disliked about each piece so they can customize your next picks even more! I have to tell you, it’s freaking awesome. It took a few boxes for them to hone in on my style, but I kept everything in my last box. I’ve been impressed with the quality and suggestions they have, and it sure beats the mall when you’re busy 🙂 You set your price range so you’re not getting crazy prices. At the cheapest setting, it’s usually about $40 for a dress or blouse.